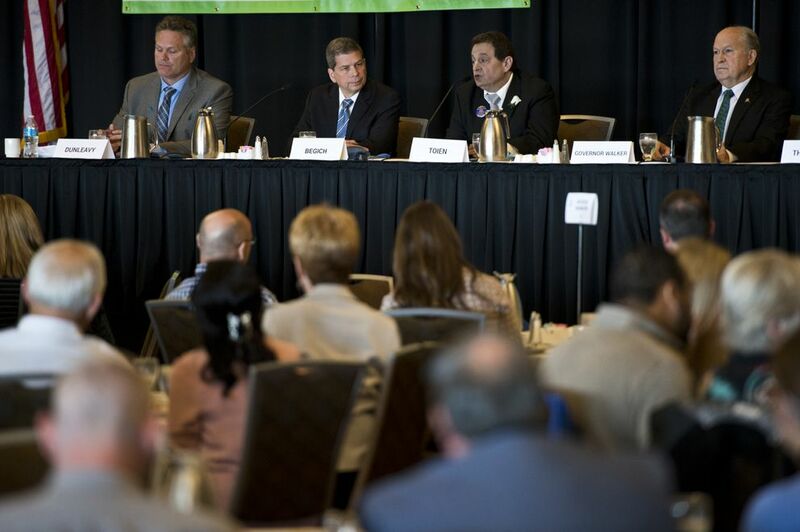 Alaska's candidates for governor kept it relatively low-key at a one-hour forum Monday in Anchorage where they discussed their plans for crime, oil, the Permanent Fund and more. There were no vicious attacks at the event, hosted by the Anchorage Chamber of Commerce at the Dena'ina Civic and Convention Center. No harsh words. No jabs thrown. All four gubernatorial candidates arrived in suits: former U.S. Sen. Mark Begich, a Democrat, former state Sen. Mike Dunleavy, a Republican, incumbent Gov. Bill Walker, an independent, and Libertarian William "Billy" Toien. Each had two minutes to answer each of the six questions posed by Alaska Airlines spokesman Tim Thompson. A luncheon crowd of roughly 270 listened with forks in hand. Question 1: Now that the Legislature has agreed to use Permanent Fund earnings to fund government operations, the fiscal gap has shrunk to about $700 million per year. How do you intend to close that gap and what does a long-range sustainable plan for Alaska look like and how do we get there? Walker cited progress in recent years on shrinking the state's budget gap from $3.7 billion to $700 million. "What we need to do is not have an economy that is trying determine the quality of education in Alaska based on the price of oil," he said. "We've been trying to reduce that amount so we're not just always going back and looking at, 'What is the price of oil to make that happen?' It's a matter of having a full fiscal plan. Having one that brings fiscal certainty to Alaska." Begich said there would be three steps to addressing the budget gap. "The first step is, you have to get the Permanent Fund dividend off the table. The way the Legislature passed it this last year basically means every year they will debate how big the dividend is," he said. "My plan is very simple. You use the percent of market value, the formula they came up with, 50 percent of it dedicated constitutionally to the dividend, the other 50 percent dedicated to education, instead of using general funds." He also mentioned finding efficiencies in the state's system and eventually developing new revenue streams. Dunleavy said there was "never anything wrong with the PFD" and said the focus should be on the state controlling spending. "Our economy is not keeping up with (spending), there's no way our economy can keep up with that," he said. "What's going to happen is, you will eventually be taxed. That's where these folks are headed." Question 2: In Anchorage and across the state, we've seen a spike in criminal activity. What is your plan to help combat crime in the city of Anchorage and how does Senate Bill 91 (a criminal justice reform bill signed into law in 2016) play into that? Toien called SB 91 "very poorly written" and said there should be "swift and severe" actions for violent crimes. "But right now, there's many people that are in jails for things where there's not even a victim. Putting people into cement cages that have harmed no one is completely wrong. It fills up the jail space," he said. Begich called crime the "No. 1 issue" across Alaska and said there needs to be a "multi-faceted" approach to dealing with it, including coordination among law enforcement agencies. "We have to approach crime in a holistic way, not just — SB 91, everyone's going to say, 'Get rid of it, that's going to be the magic.' The reality is, that's just one sliver," he said. "There's a lot of amnesia among people who voted for this when they were in the Legislature and now they suddenly don't want it. I'll leave that to them to explain." Dunleavy said, "We've just let this particular aspect of our system collapse." He called crime in Alaska a "catastrophe" and said small businesses have already faced a tax in the form of having to pay for new security measures. "We have to have the right number of troopers, the right number of prosecuting attorneys, we have to have the courts open on Friday," he said. "We have to make sure we have the right number of corrections officers. And we have to go at those folks that don't care if they're dealing death to Alaskans." Walker said high crime in Alaska and the opioid epidemic are "absolutely intertwined" and he brought up a recent pay raise aimed at retaining Alaska State Troopers. "You have to have boots on the ground," he said. "When we were 52 short on troopers, we went and said, 'Why are we losing troopers to other agencies, why are they moving down south?' Because they're getting paid more. Because they have a different benefits program. When we have all this, 'We need to cut, cut, cut,' well, you get what you pay for." Question 3: Seeing as the Port of Alaska directly benefits 85 percent of all Alaskans and is in need of some serious repairs, what is the state going to do to help the Municipality of Anchorage fix the Port of Alaska and what would you personally be able to do? 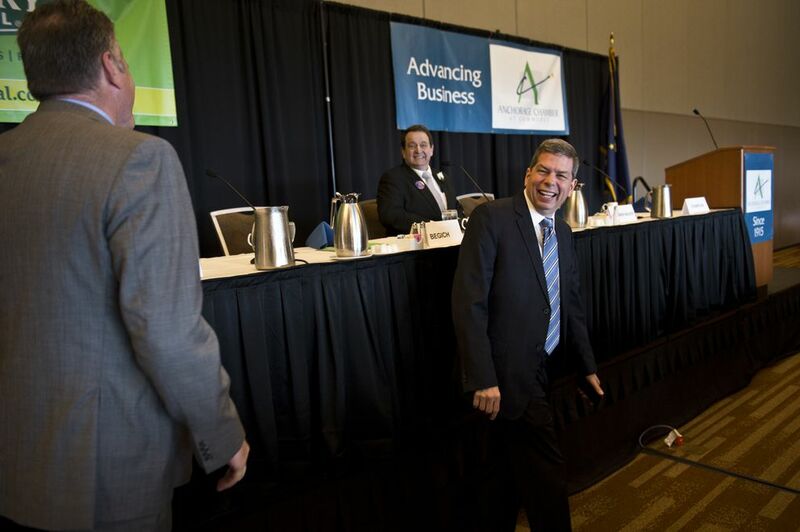 Begich proposed a "six-year, one-time vote" capital improvement program. "This is the right way to do it, not having legislators putting in their special projects, but build it from the ground up, multi-year, one-time vote, plan it out, leverage local dollars, and do the port plus many other great projects we have," he said. "Deferred maintenance — just alone for the state of Alaska — is enormous. And we continue to close our eyes and hope it will kind of magically repair. That's not how you do it." Dunleavy suggested looking for financing worldwide. 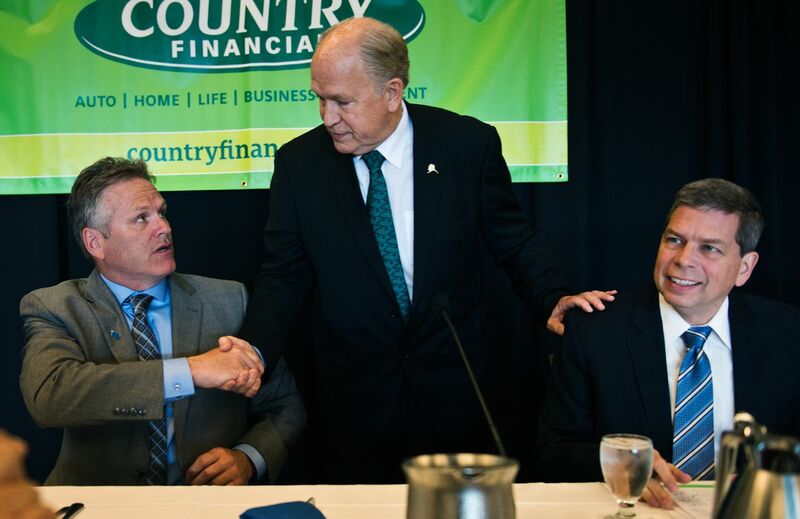 "I believe that there are equity funds, and there are pension funds that would like to invest in the Port of Alaska," he said. "As governor, that'd be one of the first things I would do, is to make sure the world knows that Alaska is open for business. That we are a stable environment for business, that we're no longer a laughing stock for business, and we've got to get a whole host of things under control to invite that investment here." Walker said the port is just "the tip of the iceberg" when it comes to deferred maintenance around the state. "We do have a fiscal plan in order. The result of having that fiscal plan is that now our bond rating has come up," he said. "It's a matter of priorities and now we can go out and do the bonding that's necessary to be able to do the deferred maintenance. This year we actually gave money to the Port of Alaska in our meager, pretty slim capital budget." Toien said the port is important, but it shouldn't be tackled before the state's finances are addressed as a whole. "Until those are addressed, redirected, I don't even want to discuss other difficulties in funding with the port or anything else," he said. 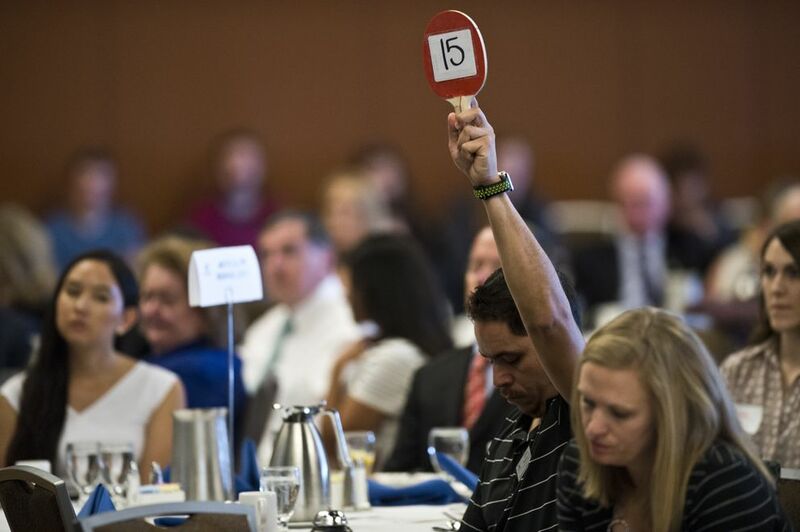 Question 4: Where do you stand on Ballot Measure 1 (also known as "Stand for Salmon") and why? Dunleavy said he's a "no" on Ballot Measure 1. "We have environmental protections in place," he said. "If Ballot Measure 1 passes or similar measures pass and we continue to tighten up on our ability to create projects and put people to work, I don't know where we're going to get the money. I don't know what's going to become of Alaska." Walker is a "no" on Ballot Measure 1. He said he was a "no" before the Alaska Supreme Court ruled the initiative could go on the November ballot with some adjustments. He said he has been cautioned that, as governor, he needed to be careful about wading into the debate. But, to be clear, he said, he's still a "no." "It concerns me a great deal as an Alaskan, as what I'm trying to do as governor on bringing companies here, doing development in Alaska," he said. "An initiative is a blunt instrument and it's one that doesn't have the kind of back and forth that you normally would have in this kind of legislation, what would happen in Juneau on a piece of legislation such as this." Toien also said he was also a "no" on Ballot Measure 1. It "hamstrings the mining industry," he said, and "it's really not even doing a whole lot to help the fishing industry." "Right now the fishing industry has legitimate concerns — foreign trawlers, permits being issued out of Seattle — but you can't clean the slate with a badly written bill," he said. Begich said he's a "yes" on Ballot Measure 1. It allows a "right to know," he said. "If there's going to be a megaproject, the public gets to be involved from a state perspective. They get to have comment. If there's mitigation requirements, they're going to have to uphold those mitigation requirements," he said. He said state lawmakers could have passed a bill that addressed the issue. "The back and forth that the governor talks about is a great idea, but where were these guys when the debate was supposed to be happening? Why weren't they talking about this?" he said. "Instead, 45,000 people got a little upset at the government. That's how the initiative process works … That's how it works when the legislative system breaks." Question 5: What is your plan for reducing unfunded liabilities facing the state of Alaska, say retirements? "We looked at pension obligation bonds," Walker said. "A way to bond in such a way that gives the assurances to local governments that that 22 percent shared ratio is not going to increase and go beyond that. If that happened, I believe it would be very detrimental to local government. But we need to have the stability to get that, make sure it is funded. I think you do that through pension obligation bonds." Toien said, "I don't think there even should be unfunded liabilities in the first place." "It's easy for somebody in a fat salary sitting in Juneau to make some decree that may seem really, really lofty and then the costs are going to fall on someone else," he said. Begich said there needs to be a "strategic plan" to pay it off. "When I was mayor, we had the same problem with police and fire. We had to sit down, figure this out with the people who were affected and then figure out a long-term plan how to pay it down," he said. "That's what we did. That's what the state has to do. The challenge with the state is they don't have long-term plans." Dunleavy said that when he was in the Legislature, lawmakers put $3 billion into PERS (Public Employees' Retirement System) and TRS (Teachers' Retirement System) to help pay down some of the liability. However, he said: "The bottom line is this, though, going into the future: If we continue to spend at the rate we're spending, we are not going to be able to pay down these liabilities. The answer to Alaska's future is, once again, cap spending but also 300,000 more barrels of oil in the pipeline. You have to grow yourself out of these issues." Question 6: The solution to many of our financial concerns is to increase the flow of oil through TAPS (Trans-Alaska Pipeline System). As governor, what will you do to actively increase the state's support for oil and gas development in Alaska? 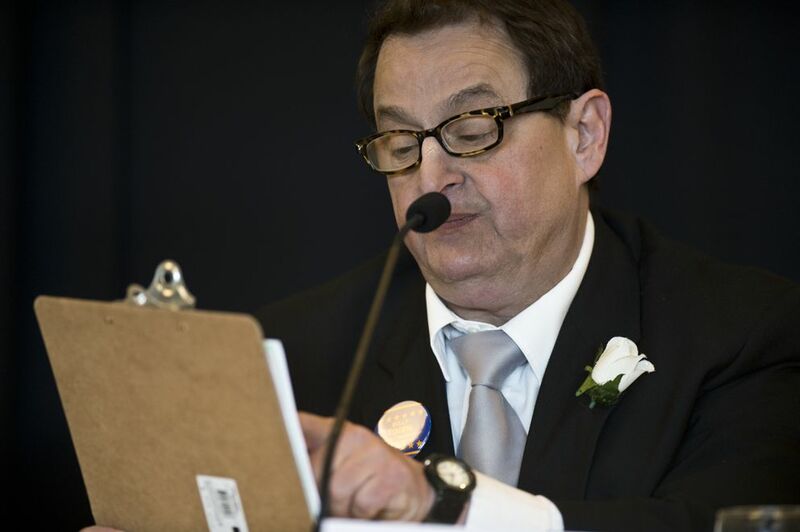 Toien said he'd "reinvigorate" a lawsuit brought by former Alaska Gov. Wally Hickel and "recover our lands that are being held up and locked up by the federal government." "Let us make our decisions for the resources along with the environment," he said. Begich said "one of the most important things is fiscal stability." "If every single year the Legislature is debating the budget of the state as well as any/all tax policy, what ends up is uncertainty," he said. "As a small business person, I've been in business since the age of 14 and I'll tell you, certainty is the name of the game. And when it comes to oil and gas taxes, you need to have that certainty. So whatever that policy is, then it plays for long-term, so they can make the investment that's necessary." He said Alaska also needs to make sure that new jobs created are filled by Alaskans. Dunleavy said oil is going to be Alaska's future "for some time." "Yes, we have to diversify our income and we have to diversify, I should say, our economy," he said. "But oil is there with no risk to the state at all. You're going to hear discussions over the next week or two about how there are some other projects we should be diverting our attention to. But we have oil very close to the pipeline with no risk to the state." Walker said "it's a matter of continuing to do what we've been doing." "Access is critical," he said. So is looking for ways to reduce the costs for companies doing business in the state, he said, noting the annual expense of ice roads. "It's a matter of bringing down the cost and doing things that we can do on infrastructure that benefits them," he said. "Certainly it's no question about it, we have the largest gas re-injection system in the world, no question about it. A gas line will take the pressure off of that. When you're exploring on the North Slope with a gas line, whether you get gas or you get oil, you're in the money either way." The next gubernatorial forum is Wednesday afternoon in Ketchikan. On Thursday evening, there's a forum with the candidates at the Alaska Center for the Performing Arts in Anchorage.